Hoist your anchor and set sail. If you anchor out frequently and if you're tired of sore muscles from cranking on a manual anchor windlass when you want to raise the anchor, an electric anchor winch will be a worthwhile investment. The choice of winches and the installation require planning. Wiring requires a modest knowledge of your boat's electrical system, a few tools and a few hours of free time. Decide where you want to mount the winch and deck roller. Align the deck roller perfectly with the center of the gypsy -- the horizontal reel of the anchor winch -- and be at the edge of the gunwale or at the point of the bow so that the anchor line won't rub on the gunwale. Move the winch and the deck roller around on your deck until you find a location that's out of the way and keeps both winch and deck roller correctly aligned. Mount the deck roller so the anchor line has free movement over the side without rubbing on the gunwale or the hull, using the bolts provided with the roller. Mount the winch, aligned with the deck roller, with the bolts provided. Mount the anchor switch on or near your boat's console, so that you can operate the throttle, wheel and anchor switch without changing position. The power lead from the winch will consist of two wires; attach one of these wires to each of the other two poles of the anchor switch: one position of the switch will raise the anchor; the other will lower it and the middle position of the switch is the "off" position. Run a wire from the ground side of the switch to the boat's common ground. Test the anchor switch. Turn-reverse the wiring -- if necessary -- on the switch so that moving the toggle upward causes the anchor to be raised. Reeve the anchor rode through the deck roller, attach the anchor rode to the gypsy and test the winch. Keep as small a distance as possible between the gypsy and the deck roller to avoid having the anchor rode present a tripping hazard. 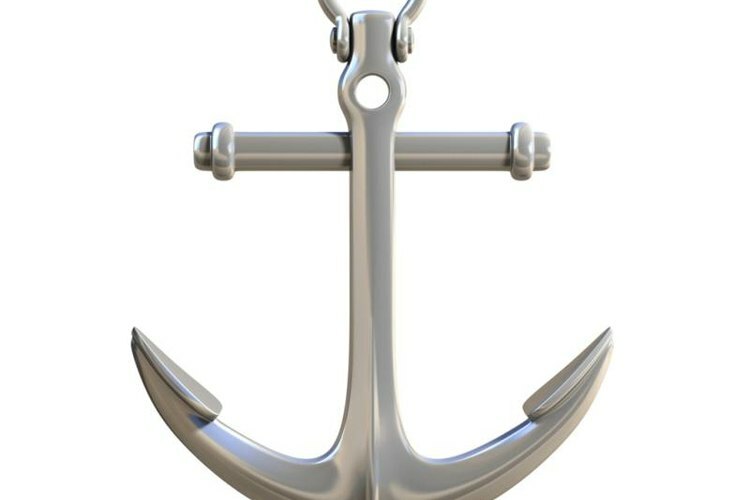 To store the anchor in the up position during transit to the water, use a short piece of chain with one end shackled through the anchor ring, the other shackled to one of your boat's pad eyes or a hand rail. Remove the shackles before lowering the anchor. The winch has its own internal circuit breaker. While this protects the winch, it may not protect your boat's electrical system; one option might be using a fuse between the common bus bar and the anchor switch as "insurance."